One of the world’s most popular silver bullion coins, the Silver Maple Leaf has been minted by the Royal Canadian Mint since 1988. It is one of the purest silver bullion coins on the market – 1 ounce (31.1g) of 99.99% Silver. Although the face value is 5 dollars, the coin is generally sold based on its silver value, although they do attract quite a premium over the spot price. Diameter is 37.97mm and thickness 3.18mm. The Reverse always has a maple leaf depicted, the National Emblem of Canada and hence the coin’s normal reference title in numismatic circles as a ‘Maple’. The original design was by Dora de Pedery-Hunt (1913-2008), a gifted Hungarian born artist and sculptor who emigrated to Canada in 1948. Above the maple is the word ‘CANADA’, to each side is ’9999′ confirming its purity and always below is the phrase ‘Fine Silver 1oz Argent Pur’. The Obverse is the head of Queen Elizabeth II. There has been three designs showing a young head, an old head and an older head. The coin has been continually minted since 1988. The millennium issue in 2000 was dual dated 1999-2000. As an indication to the Maple’s increasing popularity, the mintage in 2000 was just over 400,000; in 2011 it was over 23 million. A Proof was issued in 1989 and there has been some coloured versions plus holographic enhancements such as the commemorative issue for 2010 Winter Olympics which were held in Vancouver. There has been many Maples with Privy marks, which are small marks or indentations (originally used in coins to determine Mint but these days more for marketing to coin collectors). Some Privy marks were only available outside Canada, such as those made for the Royal Dutch Mint in Holland. Some years had more than one Privy mark coin issued, for example 2000 had a Fireworks, an Expo Hanover and a Year of the Dragon. There has been a theme of the Chinese Zodiac series and covered all 12 months. 2012 saw a F15 (Fabulous 15), a Titanic commemoration and a Dragon. In the same year, The Leaning Tower of Pisa Privy was issued in Europe only by CoinsInvestDirect. In 2003 there was issued a 5 coin set for the 15th Anniversary of Silver Maple Leaf. It comprises of a 1oz down to 1/20th oz. There has been 5- and 12-coin Privy Mark sets, Special Issues and the Canadian Wildlife series. 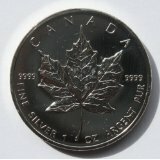 In 1998 there was a 10oz Maple issued. 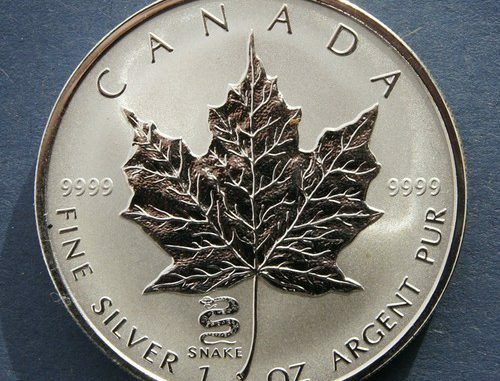 In 2012 a 10 dollar, half-ounce (15.87) coin called a ‘Maple Leaf Forever’ was introduced by the Canadian Mint. It is possible to buy Maples in tubes of 25. You can also get Gold Maples. 2016 Canadian Superman silver 1 oz ounce bullion coin brand new 5 dollars $ unc. 25 x 1oz Silver Maple Leaf Coins 2011, Canadian Mint. 2019 Canadian Maple Leaf fine silver bullion coin brand new in capsule.